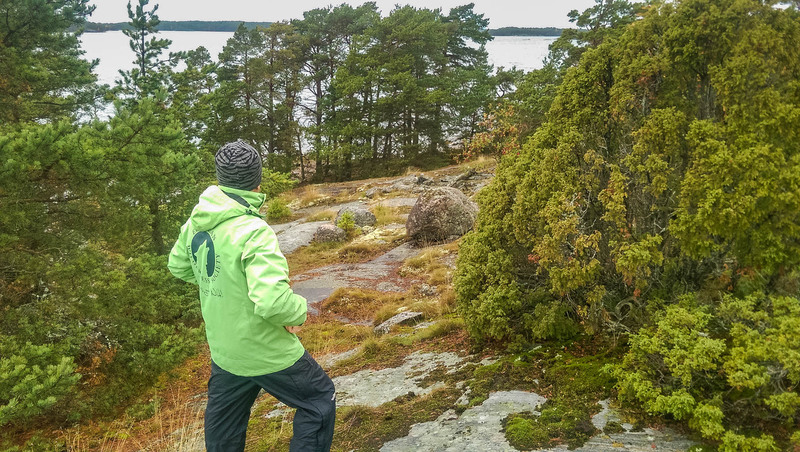 The 9,500 ha of Archipelago WILDCoast Wilderness are embedded in the Archipelago National Park, Finland. An endless sea with a horizon with hundreds of small and bigger islands. That is Archipelago National Park in the southern tip of Finland. The park is a mosaic of sea and islands, with traditional land uses, like fishing and small-scale agriculture on the islands. On the contrast to this, at the southern edge of the park, is a large strictly protected marine Wilderness. The European Wilderness Society team in these days visited this area to discuss with management next steps of cooperation. Demanding research all over Finland revealed that only few areas of true Marine Wilderness (areas without extractive such fishing) can be found. The Archipelago Wilderness is seems to a unique exception. said Vlado Vancura, Deputy Director of the European Wilderness Society. Meeting with the Archipelago National Park Director Mr. Henrik Jansson and Laura Lehtonen several issues were raised which need to be discussed in details further on!